Alok has come from one of the next hot beds for international talent, South America. The trendsetting Brazilian has taken his home country by storm and is primed for an American takeover. Major plans are already in the works for Alok in 2017 including singles and major tour announcements. With all of Brazil backing him and a slew of upcoming projects, 2017 is already looking like Alok’s for the taking. Alok Petrillo has been creating music for years now since his very early adolescence. He played his first festival set with his brother Bhaskar, when he was only twelve years old. Music is literally in Alok’s blood with his parents being former psytrance DJs and festival curators themselves. It’s as he was almost born to be a great DJ. His sound can loosely be honed to bass-filled deep house with techno elements in one unique genre. 2016 proved to be a top year for Alok. 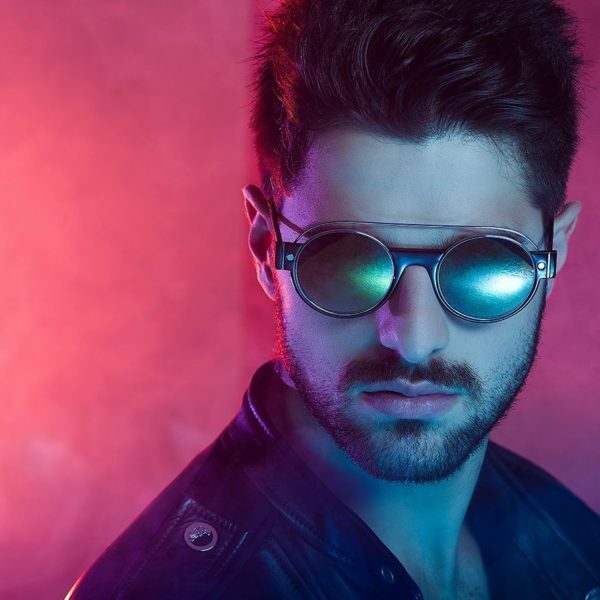 His recent Spinnin’ Records release, “Hear Me Now,” reached #1 on the Brazilian charts and he stopped at some of the most elite stages to spin on including a set at Burning Man. 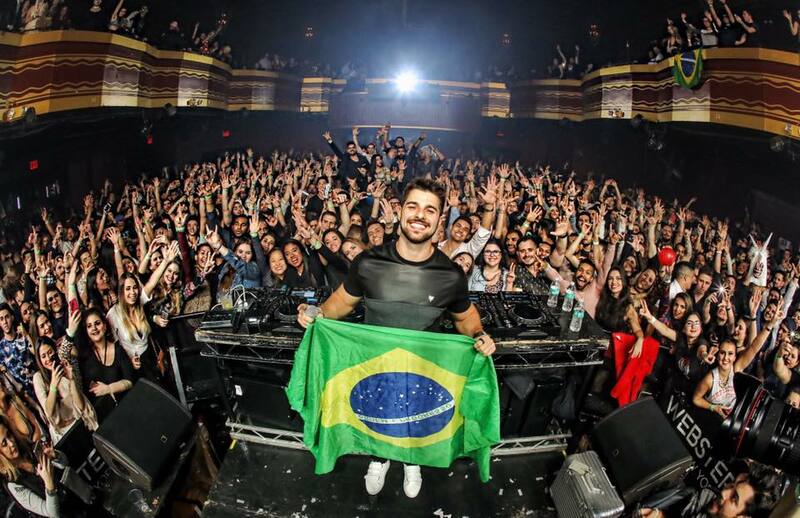 In the past he’s also received the country’s ‘Best Brazilian DJ’ in 2014 & 2015. His American buzz had already been stirring and this past Saturday, January 14, Alok put on a riot of a show with all the whistling and roaring you’d find at an athletic event. From the balcony tiers of Webster Hall Brazilian flags were draped over and fellow reps donned them in the notorious WH main ballroom. The crowd was excited as the hall was filled with roaring party-goers as Alok finally took to the stage at 1:30 a.m. The Nocturnal Times: Is this event part of a tour or is it a stand alone set? Alok: Yea tonight I’m playing here in New York, tomorrow in San Diego, then Thursday Miami Liv, Friday Hakkasan in Vegas, Saturday is Orlando for the international soccer tournament the Florida Cup. The Nocturnal Times: Can you tell us about your background growing up, where are you from and how was it? Alok: I’m from Brazil, Sao Paulo. I’ve been playing since I was twelve. I did my own music. My parents were DJs, so I was born and raised in the electronic scene. Since I was twelve I was playing. Things started to change when I met this guy. I met him here in a subway playing as an artist from the street. And we did a track together, which put my career in to the next level. The track “Me and You” which was released at the end of last year. And I’ve also signed with Spinnin’ records. The release just came out, “Hear Me Now,” which has 25 million plays in three months. The Nocturnal Times: What was the production process for the Spinnin’ track “Hear Me Now,” how did that work? Alok: I did it with two friends of mine Bruno Martini and Zeeba. We had a really nice energy in the studio and things went out quickly. Nowadays I’ve been making music on my laptop for about six months, I’ve always been on the road and I moved to a new place in Sao Paolo and I’m building up a new studio in my house. The Nocturnal Times: Since the hit single on Spinnin’ Records, has anything changed for you? Alok: I think it broke the barrier. Iro: Global exposure, like transitioning. When I visited him I had no idea what I was walking in to. So I go to Brazil and it was basically like walking here with David Guetta. There’s a stampede of young woman trying to take selfies with him. Alok: Because in Brazil it got really really big. I have my own private jet, I have my own huge parties every weekend with 80,000 people, but it’s really in Brazil. So we’re kind of breaking the barrier with Spinnin’ Records and with our song we want international vibes. I think this is the coolest thing about Spinnin’. The Nocturnal Times: Growing up did you have any particular influences? Alok: Of course my parents were my biggest inspiration. I was also born and raised in the city with The Prodigy, Chemical Brothers, Daft Punk being the guys who made the change in the scene. And after those guys David Guetta was for me the first big DJ to become important. But nowadays I listen to everything. I really think the electronic scene nowadays is really going really to the pop, know what I mean? So it’s not focused on the electronic scene, it’s become a mainstream thing. So if you want to be big in the electronic scene I think you should start listening to other kinds of music as well. The Nocturnal Times: Do you plan on changing at all for your American audience? Alok: Yea I mean I don’t know what I’m going to play tonight to be honest. I still haven’t even thought about it. But definitely it has to be different from Brazil, I think here, a lot of music that works well in Brazil wouldn’t work here. Over here people are more in to what’s happening at the moment, Brazil you can play old stuff and they like it. The Nocturnal Times: Can you describe your Burning Man experience this past year? Iro: There’s plenty of festivals in Brazil and it’s eight days non stop party the same vibe as Burning Man same type. But it’s in Brazil and there’s a beach. Alok: It was an amazing experience, I went there and saw a lot of things I’ve just seen in movies such as Mad Max, a different reality. Yea it was crazy, like another world. I think you go there to escape reality. The Nocturnal Times: In 2017 is there anything you are excited for? Alok: Yea we’re going to release a really really massive track, the name of it is “Love is a Temple” and I think this is going to be the big breaking record. And it will be going through Spinnin’ as well. The Nocturnal Times: Is there any gameplan for tonight’s performance? Alok: To be really honest with you no. I’d like to feel the dance floor. For more information on Alok follow him on Twitter, Facebook, and Instagram.